Topic: 80 gallon bow front upgrade!!! Re: 80 gallon bow front upgrade!!! Hey yall! 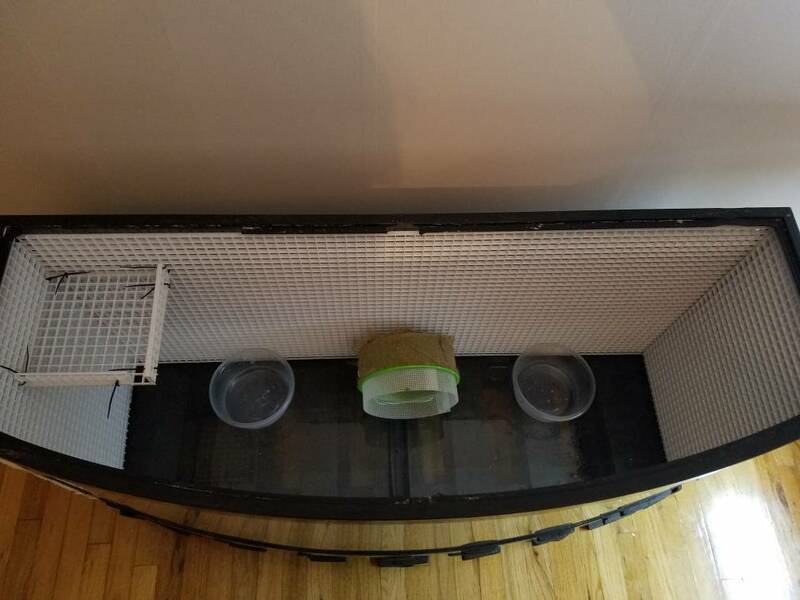 I want to cut a plexiglass lid for the 80 gallon. Those of you with plexiglass lids, do you have anything on top holding them down? I'll have a light on top, but I dont think its heavy enough. What do yall use? Dont forget to add craft mesh to the hamster wheel! Topic: How to attach UTH? Re: How to attach UTH? I just use regular duct tape. Thank you Fleabag! you're the best!! Wow those are so amazing!!!!!! I love em! I have some extra moss I can send you. I bought a big bag when I was moving and made a bunch of ISO totes. I don't really use moss in my tank much. Do you mean shredding the outside of the coconut and putting it all in a little spot for them? What's the husk?